How does your writing charm the reader? 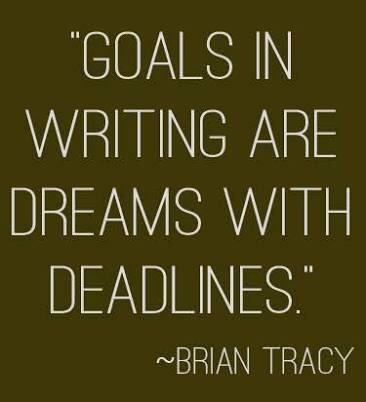 What’s your writing goals for 2017? It has been a long time since I have posted on my blog! Apologies, I have been busy with starting a new job last year so my writing has been neglected. I decided a few weeks ago that I needed to get back into the swing of things in the new year. So I decided to be committed again to my writing by setting some clear goals. How do we set goals? S=specific: what do you want to achieve? E.g: write a first draft of a novel. M=measurable: how can you measure this? E.g. Writing 120,000 words. A=actionable: what’s the action you are going to take? E.g. Commit & write 4 times a week. R=realistic: setting realistic expectations. E.g. Can I write 4 times a week or should it be 3? T=timebound: setting a end date. E.g. 12 months. So I wrote down my goals and my first one is to complete a mini course I’ve enrolled in to get back into my writing. I’ve applied the SMART approach for my first writing goal for 2017! S= take writing course Jan/Feb 2017. M= assignments due wkly, results & feedback from teacher. R= this is realistic as have no commitments on Sunday’s. T= course completed in 6 weeks. I think this is a great approach in helping you to achieve any goals you have when it comes to your writing. 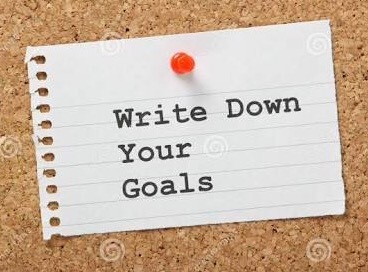 However you do need to write them down to make them achievable! 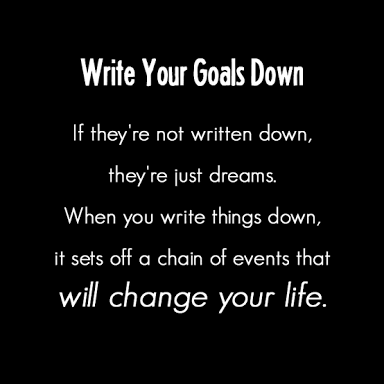 Some quotes I found on setting goals with writing! What are your writing goals? Please share in comments below! I like this idea, always helps to motivate me when I set myself goals. I usually spend my Sundays planning out what I’ll write over the next week. Been unproductive lately though!